You guys, today is book release day! 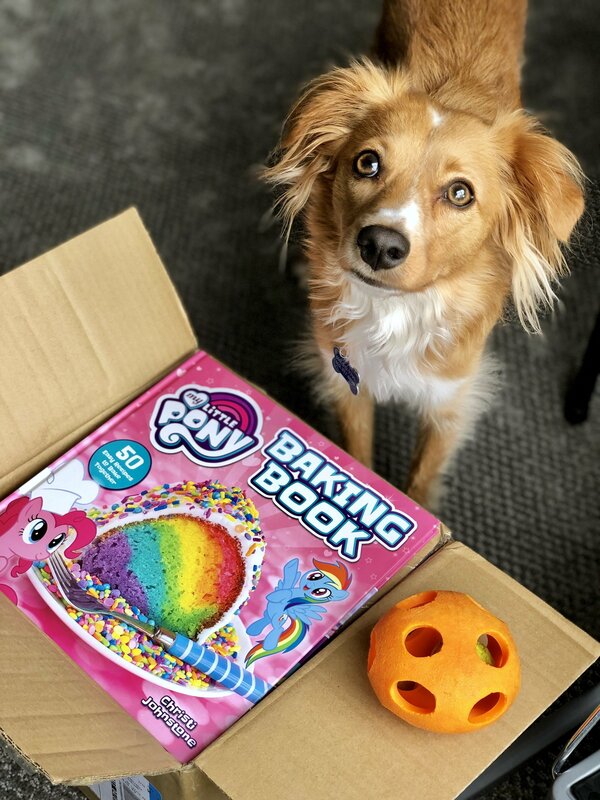 Say hello to The My Little Pony Baking Book! I really, truly am so excited to share this cookbook with you. My girls have grown up with My Little Pony (I may still know all the words to A Very Minty Christmas) and therefore it really was an honor for the My Little Pony team to trust me to bring this these recipes to life. And a thank you to my daughters, the best My Little Pony recipe consultants I could have ever asked for. The My Little Pony Baking Book has something for everyone… Breakfast, Cookies, Brownies & Bars, Cakes & Cupcakes, Pies, Crisps & Cobblers, Breads & Muffins… it’s got them ALL! The #MLPBakingBook contains 50 Baking Recipes that are tried, true and delicious. From cornbread to cinnamon rolls, granola bars to layer cakes, these are 50 AMAZING recipes. While I wanted to create recipes that kids could successfully make with adult supervision, I didn’t want to make food that would only appeal to kids. I worked very hard to create recipes that every body and every pony would love. If you LOVE My Little Pony, I know you’ll love these recipes. That said, it was vital to me to create recipes that even the non-MLP crowd would enjoy. So even if you don’t know Pinkie Pie from Rainbow Dash, YOU WILL STILL LOVE THESE RECIPES. I can’t wait for you to get your hands on this book and try these recipes. Please share pics of your books and your bakes, and tag me with @lovefromtheoven and #MLPBakingBook. I would be thrilled to see them. 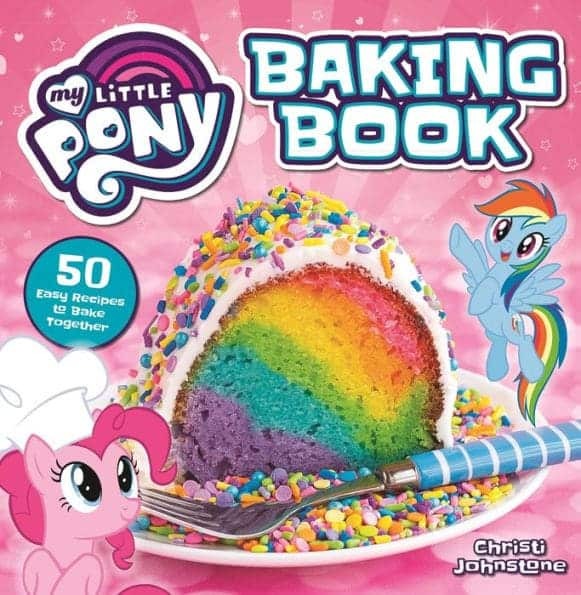 The My Little Pony Baking Book has 50 baking recipes, starting with breakfast. You’ll find everything from pancakes to granola, cookies to cakes, brownies to cornbread, donuts to pie, sugar cookie bars to cupcakes. Pinkie Pie will give readers a “tour” of the bakery, during which readers will learn all about baking. She’ll also share why baking is great, how it makes people happy, feeds them, expresses love, and more. She’ll then share 50 or her favorite, easy-to-make recipes, designed to require a minimum of help from parents and caregivers. I can’t wait to hear what you guys think about it, and what your favorite recipes are! You can find it in your local bookstores, and online as well.